Are you in need of some business cards? 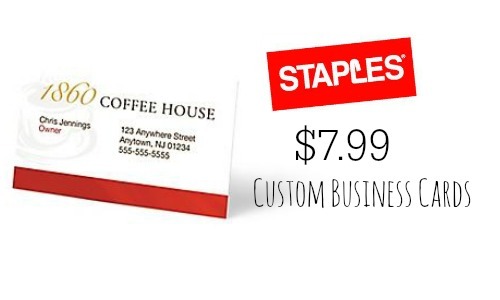 If so, be sure to check out this deal at Staples to get (500) Custom Business Cards for $7.99! Choose from over 350 templates or you can build or upload your own designs. This makes it 2¢ per card delivered to your door. You can add textured paper, a glossy finish, and/or raised ink to your custom business cards to leave a lasting impression. You can save 80% off with this deal, so don’t miss out! Offer valid through 4/11. Staples Rewards Members get FREE Shipping.